*VERY MOTIVATED SELLERS* (PRICED UNDER APPRAISED VALUE)WOW, this one is a MUST SEE!!! 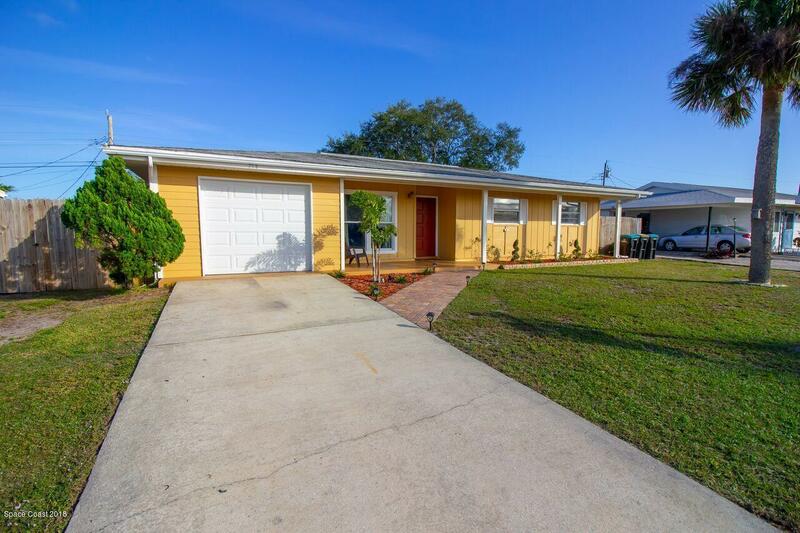 Immaculate and pristine pool home in Palm Bay! Numerous upgrades throughout: new flooring, kitchen, bathroom and new AC inside and out just to name a few. Pride in ownership is evident! Open floor plan with a bonus room looking out to a beautiful in-ground pool. Completely fenced yard with a large patio for entertaining guests and an outdoor shower area. Great for first time home buyers. This home is just blocks away from the Indian River and a boat dock! Florida Living awaits you!!! Come and see this gem before it's gone because this one won't last long!